Learning to take tests is a crucial skill that students need to learn in order to be successful at school. Learning to take tests can be an overwhelming process for many students. However, effective study and test-taking strategies are fundamental to school success and many career opportunities. 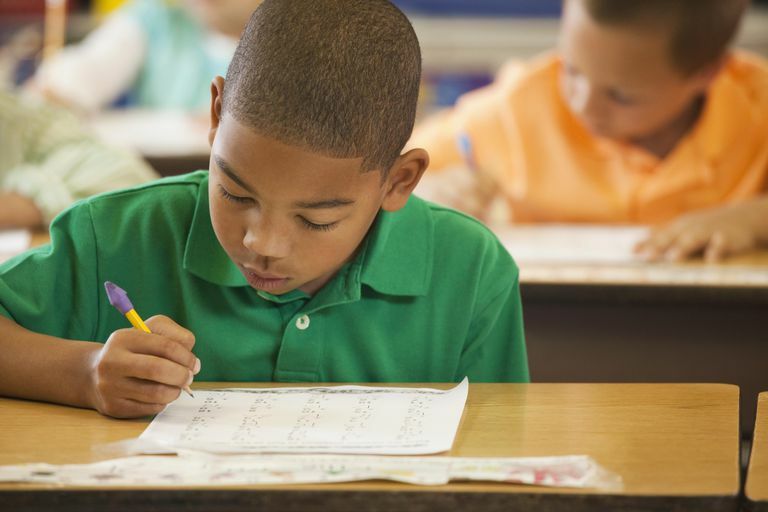 Parents and educators should be aware of different test-taking strategies that can help reduce ​test anxiety and help children better perform in class. It is important for children with learning difficulties to formulate a plan for studying for major tests. Based on a child’s individual learning style, it may be beneficial for him/her to study alone or in a social group. Begin studying at least a week prior to a major exam. Before studying for a test, make a study guide of the important concepts learned in that unit. Number each concept and organize papers by putting a number on each paper that corresponds with the topic or concept from the study guide. Start by reviewing the first concept on the study guide. Review the assigned reading, notes, handouts, and homework assignments that correspond to that concept. Take a five-minute break. Then, go back and review the first concept and add on a second concept from the study guide. Repeat this “repetition with addition” process until all concepts for the test have been mastered. Ask the teacher to review any concepts that may be confusing or require clarification. Know the format of the test (e.g. multiple choice, essay, etc.). For a multiple choice test, a student must recognize the correct answer from a series of choices. Summarize and put information and important bold words, definitions, facts, and concepts on note cards. Organize note cards in the order that they will be reviewed. Create review questions or complete practice test questions, if available. When taking a multiple choice test, there are many strategies for maximizing achievement. One important key to success is reading each question carefully. Cover up the possible responses to a piece of paper or your hand and attempt to recall the correct answer. Unveil the choices and if the response that you thought is there as an option, circle it and then check to see if any of the other responses make more sense. If you did not see the response you expected, eliminate as many choices as possible by looking for grammatical errors, odd or funny options, and responses that use absolute words, such as “never” or “always.” If you are unable to answer a question within a minute or less, put an asterisk mark next to the question and revisit it after all other responses are completed. Studying for an essay test requires a student to recall information and provide supporting evidence or relevant examples pertaining to a concept. Start with a general understanding of the main concept(s). Then, review details or examples that support the main concepts. Design your own questions including “What”, “Who”, “Where”, “When” and “Why” to help make associations between terms, facts, and overarching concepts.